Viking battles to keep manufacturing in U.S. The Viking Range Corp. has brought a level of stability to the town of about 16,000 people employing almost 1,000 people in their plants. 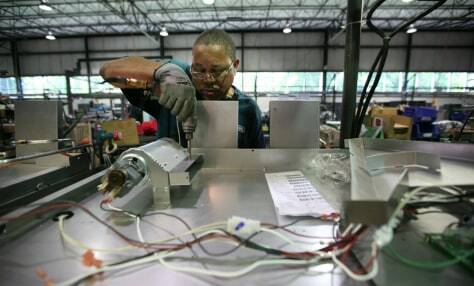 Dennis Tabor, a 16-year employee of Viking, works as an assembler.